Kumawood actor Kwadwo Nkansah aka Lil win has finally reacted to the statement made by his brother and colleague in the movie industry Kwaku Manu that he wouldn’t be surprised should his school collapse because he has experience. 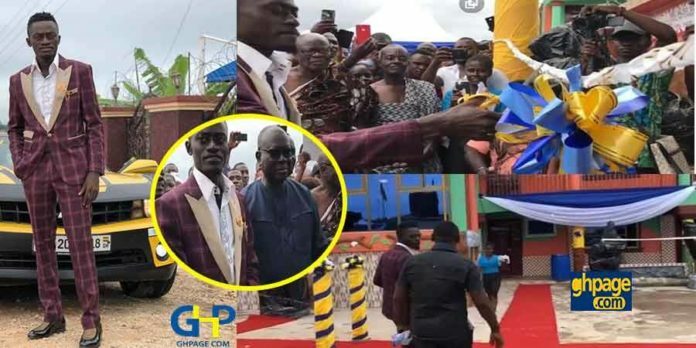 According to Kwaku Manu, he was using his “Kwaku Manu Educational complex” as a case study and therefore urged him to pay more attention to the management of his school since that is what can keep the school running. He ended by saying he wouldn’t be surprised if Lil Win’s school called Great Minds International school fail. Well, Lil win in his reaction has told his friend Kwaku Manu that he is not like those celebrities who fail when they open up businesses stating that his school was never going to collapse. “If you dream and you see that I have prospered then it is me but if you see me dead, that it not me…”. He emphasized that his decision to build a school was for the good of society and as such, he is very hopeful that God will ensure that it stands firm for a very long time. He also added that as part of the measures he has put in place to see that the school operates for a long time, on occasional basics he invites pastors over to come and pray for the school.